* 8K MILES SOFTWARE SERVICES: Kotak Mahindra Investments, a subsidiary of KOTAK MAHINDRA BANK, has sold 170,000 shares or 0.6% stake in the company at 323.54 rupees apiece through a bulk deal on the National Stock Exchange. * ADANI GREEN ENERGY: Is planning to raise $500 mln-$750 mln by selling dollar bonds, as it plans to refinance its debt and expand its business. * ALLCARGO LOGISTICS: Shashi Kiran Shetty, promoter of the company, has bought 1.23 mln shares or 0.5% stake in the company at 110 rupees a share through a bulk deal on BSE. * APL APOLLO TUBES: The board will meet on Friday to consider and approve allotment of nonconvertible debentures on private-placement basis. * AXIS BANK: Managing Director and CEO Shikha Sharma saw her basic salary increase by 7.8% to 29.1 mln rupees last fiscal, according to bank's annual report for 2017-18. * BANK OF MAHARASHTRA: In an oblique reference to the bank's case, Union Minister Arun Jaitley said states and investigative agencies must keep federalism and statesmanship in mind to ensure that economic decision-making in the country is not "derailed". * BHARTI AIRTEL: The company and music streaming app Saavn were among select partners that received special exemptions from Facebook to obtain user data even after it discontinued access in 2015, the social media giant disclosed to the US Congress last week. pressure and costs continue to rise, its Chief Executive Officer Gopal Vittal has said. -Managing Director Gopal Vittal said the company was considering options such as floating a separate company, acquisitions as well as commissioning exclusive programmes as part of its strategy in the content space. * BIOCON: Plans to sell partial stake in its research subsidiary SYNGENE INTERNATIONAL to raise funds for capital expenditure over 2018-19 (Apr-Mar) and 2019-20, Chief Financial Officer Siddharth Mittal said. * BSE: Has decided to delist 222 companies as trading in their shares has remained suspended for over six months. * CAPITAL TRUST: Has appointed Madhusudan Gupta as chief financial officer, effective Monday. * DENA BANK: Has announced a proposal to sell stake in four entities to shore up its capital base. * ELECTROSTEEL CASTINGS: The board will meet on Jul 12 to consider a proposal to raise funds by issuance of equity shares on preferential basis. 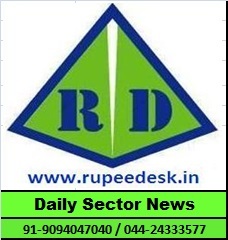 * FEDERAL BANK: Is in talks to acquire Madura Microfinance for about 7.2-7.5 bln rupees. * GE POWER INDIA: Has received twin-boiler-equipment order worth 4.68 bln rupees from Bharat Heavy Electricals for supercritical thermal power projects in Patratu in Jharkhand, and Udangudi in Tamil Nadu. * GITANJALI GEMS: The Enforcement Directorate is set to move a special Mumbai court seeking the 'fugitive economic offender' tag for the company owner Mehul Choksi and confiscate his assets worth over 60 bln rupees in the $2-bln PUNJAB NATIONAL BANK scam. * HOUSING DEVELOPMENT FINANCE CORP: OppenheimerFunds Inc sold 917,683 shares or 0.0546% stake in the company through open market on Friday. * IDBI BANK: The sale of the bank's stake in IDBI-Federal Life Insurance is being scrapped after LIC's entry into the bank as a major financial investor. -Managing Director B. Sriram may get a five-year term under Life Insurance Corp of India, which is set to acquire a majority stake in the state-run lender. -The Centre is keen to finalise the acquisition of the bank by Life Insurance Corp of India in three to four months to ensure the lender's balance sheet shows an improvement by next fiscal. * ISGEC HEAVY ENGINEERING: Has emerged as the lowest bidder in reverse auction for three units of 800 MW Kudgi Super Thermal Power Project of NTPC, worth 7 bln rupees. subsidiary JAYPEE INFRATECH, including an offer of 10-bln-rupee credit. * JSW STEEL: South West Mining, the JSW Group promoter Sajjan Jindal-owned company, has bagged a mine with 40 mln tn per annum iron ore reserve at Bhangaon in Jharkhand. * KWALITY: The company's board has deferred the proposed buyback of shares, bonus share issue, and payment of interim dividend. * LARSEN & TOUBRO: Has fast-tracked the production of ships for the Indian Coast Guard at its defence shipyard at Kattupalli near Chennai. * MAHINDRA & MAHINDRA: Has set itself an aggressive goal for both domestic and overseas business as it charts the next phase of growth. * MAHINDRA & MAHINDRA FINANCIAL SERVICES: Has raised 6.43 bln rupees through issuance of 4- year and 364-day non-convertible debentures at a coupon of 8.24%. * MAHINDRA LOGISTICS: Is in the process of setting up additional large, multi-user warehouses to service future growth. * MANDHANA INDUSTRIES: The National Company Law Tribunal has deferred the bidding process for resolution of the company to Wednesday to ensure fresh proposal submitted by US-based company Formations Inc is considered. * MANGALORE REFINERY & PETROCHEMICALS: Has bought its first cargo of Iraqi Basra Heavy crude from Royal Dutch Shell via a tender. * MARUTI SUZUKI INDIA: The company's Vitara Brezza compact sport utility vehicle has achieved the fastest pace of sale in its segment at 300,000 units in 28 months, setting a record in the Indian automobile industry. * NATIONAL ALUMINIUM CO: The government has sold 3.6% stake in the company through Bharat-22 Exchange Traded Fund scheme. * PUNJAB NATIONAL BANK: Four months after registering a criminal case against diamantaire Nirav Modi, the bank has moved the debt recovery tribunal to get back 70 bln rupees, which it said he had availed of through "fraudulent letters of undertaking". Telecommunications to release bank guarantees of 20 bln rupees to the company, granting relief to the Anil Ambani-owned telco, which is trying to sell assets to raise funds and repay lenders. * SANOFI INDIA: Sees a more diversified pipeline driving a return to growth at its diabetes unit in the coming years and will consider acquisitions and partnerships to help boost performance. * SHREE CEMENT: Has incorporated two step-down subsidiaries in Dubai International Financial Centre, which would act as investment companies for the group. * TATA CONSULTANCY SERVICES: The company, Cognizant, INFOSYS and WIPRO have about $2 bln in tax disputes pending in India, largely over differences in calculating incentives for export-oriented units and distribution of dividend taxes to investors. * TATA STEEL: Despite the company's deleveraging exercise through the joint venture with thyssenkrupp AG and improving cash flow in the domestic market, its net debt to earnings before interest, taxes, depreciation, and amortisation ratio continued to remain elevated. * TECH MAHINDRA: Has announced a new agreement with a British university to collaborate across various sectors, including smart cities. * TINPLATE CO OF INDIA: Is mulling capacity expansion, buoyed by improving domestic demand for packaging. * UNITED BANK OF INDIA: Has increased marginal cost of funds-based lending rates by 10 basis points across tenures, which will come into effect from Thursday. * VEDANTA: The board has approved raising 15 bln rupees by issuance of non-convertible debentures in one or more tranches. -Volcan Investments, the family trust of Vedanta Resources Plc founder Anil Agarwal, is considering a plan to acquire control of Anglo American Plc's South African business by merging Vedanta Resources with the South African unit via a share swap. production sharing contract with the company and OIL & NATURAL GAS CORP to produce oil from a Rajasthan block. -Sterlite Copper has filed an appeal before the National Green Tribunal, New Delhi, challenging the orders passed by the Tamil Nadu Pollution Control Board directing closure of its copper smelter unit at Thoothukudi in Tamil Nadu. * WOCKHARDT: Is set to raise about $300 mln through sale of dollar-denominated bonds.